Do you know what Nathan Drake is most afraid of? How about why, when, and where he first met Elena Fisher? Uncover these truths and much more via Drake’s first two critically acclaimed PS3 adventures when they arrive as digital downloads on the PlayStation Store. UNCHARTED: Drake’s Fortune and UNCHARTED 2: Among Thieves Game of the Year Edition will land on the PlayStation Store in the downloadable PS3 game section on June 26th. In UNCHARTED: Drake’s Fortune, a 400-year-old clue in the coffin of explorer Sir Francis Drake leads Nathan Drake on a wild adventure to a forgotten island in the middle of the Pacific Ocean. Here Drake hunts for the fabled treasure of El Dorado. Learn the backstory of the colorful cast of UNCHARTED characters and the ancient secrets El Dorado hides. 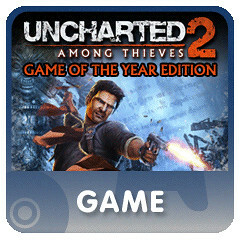 UNCHARTED 2: Among Thieves Game of the Year Edition is the winner of over 200 Game of the Year awards, and one of the most highly acclaimed video games of all time. In this sequel, Drake is drawn back into the treacherous world of thieves and treasure-seekers. A mystery artifact propels him to undertake an expedition to the legendary Himalayan valley of Shambhala where he finds himself embroiled in a dangerous game of cat-and-mouse against a fugitive war criminal. Pushed to his limits, Drake is forced to risk everything. 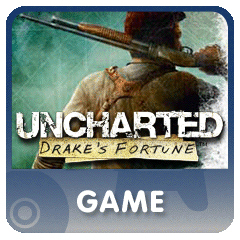 Soon you can have two of Drake’s most epic adventures waiting on your PS3’s XMB, available at the tap of a button! Look for them on PlayStation Store June 26th. This free UNCHARTED 2 DLC program will run until the digital launch of the two titles on June 26th. Once the PSN store updates on June 26th, all this DLC will only be available via purchase on the PS Store or when you buy the digital version of UNCHARTED 2: Among Thieves Game of the Year Edition. Mark your calendar for June 26th and be sure to practice your witty comebacks, daring leaps, and fortune hunting tactics as Nathan Drake’s first two blockbuster hits will be just a download and a button press away! Awesomesauce indeed! I can’t wait to have these on my XMB! I think everyone’s wondering about pricing and download sizes. Can you help us? Hey there! The download sizes will be around 18.5GB for U:DF and 20.5GB for U2:AT. I was planing to re-plat Uncharted as i dumped my old PSN account a few months back so this is great news. Thank you very much guys! But how much will the games cost? Will there be a Dual-Pack like the retail versions? Hey Kirby, We’re still working on pricing these, but we wanted our community to have the heads up that these were coming out as soon as we could. I promise we’re not holding back any info, we definitely want our community to be in the know! Also, can we get Heavy Rain & GoW 3 up on PSN as well please sony? How much it cost and how much disk space it requires? Hey Sid, I know your reading this and are probably more likely to respond too. Games on the PS Store need to have more relevant information like: File Size, Audio, Video and wait for it….Comments. That would be great! Yep, size, price, all important info. Also, will the game saves for the disc version work for the digital download? Awesome news, I enjoy my digital versions to my physical ones, so I’m real excited for this one! I have already all the Uncharted discs, but it’s a really nice addition to have the option to download them.., I would also want to have Heavy Rain on PSN, please..
how many gigs does U2 needs? 25-30gigs?? Games that shouldn’t be missed. I already own them but if these were coming digitally to Vita I’d be pretty excited! It’s great to see Uncharted 1 and 2 on PSN! Now if we can get Uncharted 3 on PSN it would be amazing. I will be so glad when this hits :D My boyfriend made me get Red Dead Redemption so he can shoot at me in multiplayer. …. *evil grin*…… Wait till I make him get the Uncharted series. I’m gonna smoke him in UC3. :D My 8yr old niece and nephew and my 10 and 14 yr old nephew have become die hard Uncharted fans :D We have gaming weekend at my house frequently and UC, UC2 or UC3 is usually the first game in the console. My niece even had me draw on a t-shirt for her a sketch of Nathan Drake from the UC3 CE statue and beside it she wanted written “Nathan Drake is my Daddy!”. LOL she sleeps in it every time she comes over. Now i can honestly say THAT is true devotion. Now we are talking Business. Digital is the way I only go now but I was FORCED into buying Starhawk on Disc since its not on psn and no telling when it will be. I got sick of waiting. When Starhawk hits psn for download I will lose money and not happy but I will sell the disc version to pay towards the digital one like I have been doing one by one when my disc games hit psn. Great to see these coming to psn. 2 games I will be buying. My 320 gig ps3 is almost full so I got to get a 1tb or 720 gb harddrive now. Fun fun! Thanks for finally bringing these to the store. All games should be like vita games and release on psn the same day the physical releases. Don’t wait till christmas NEXT YEAR to get Uncharted 3 on the store either. Why isn’t 3 going to join 1 and 2? Drakes Fortune was my very first Playstation game but for some reason I have no trophies even though I completed it 100%. That was years before I became a trophy ‘ho so I didn’t notice or care at the time. So yes, I will be downloading & replaying it, even tho I still have nightmares over those zombie things. This is an amazing opportunity for those who have not played these two Uncharted games. Great news to add that the Uncharted 2 DLC will be free worldwide, I have been enjoying the DLC since last week. It is great replaying the game after so many months since I last played it. Here’s hoping an Uncharted 3 digital release as well! Honestly, who cares at this point. Clog up your hard drive with old games with large file sizes and pay more than you would at retail. No listing of file sizes or pricing. Great job. Big deal. I got uncharted 1 and 2 in a dual pack for 25 bucks at best buy. 30 bucks on amazon for the 3rd one on black Friday Anyways digital should always be optional. But they are restricted to individual accounts so I would rather just keep physical. But welcome to the store. I susPect 3 will be down the pipeline as well as resistance series obviously as well. This is pretty good news, it gives the consumers options which we need more of this for Psn.I hope more come along this year & beyond!!!!!!!!!!!!!! @26 You don’t need a passcode for Uncharted 1 and 2? Both of these will be around 20-25 GB. Not together, separately. So U1 would be ~20 GB, and U2 would be ~20GB. @21 Uncharted 3 is 45 GB. I don’t think they’ll ever put a game that big on PSN for the PS3. BTW, you’ll need ~45-50 GB of free space on your hard drive to install ONE of these. To install 2, you’ll need ~75GB of free space. they should be 20-25 $ considering they are from 2009 and 2008, like mass effect 2, and if they are at that pice ill get a digital copy of uncharted 2 100 % sure, never played it, and had toons of fun with uncharted 3. Guess that was a typo and E.U people will have to wait until the E.U store updates tomorrow for the free DLC? The greatest hits dual packs costs $40, so they should least be $20 each. I rented U2, but never wanted to buy it since I have U3. And why save space in my shelf for old games? But downloading it appeals to me a lot more. Give me a good deal, and im sold. Awesome! Hey do you guys have a link somewhere to tell me how to upgrade my HDD space on my PS3? I see people on Youtube posting it, but I really don’t trust it and would like an official Sony site link! also remember to avoid “energy saving” drives as they can cause some games to stutter/glitch because they go to sleep sometimes when a game is trying to read data from the HD. These are normally the slower 5,000rpm drives. You want a 7,2000rpm spin speed to be 100% sure, and the western digital i got last year is the largest capacity (and best quality) at that speed available. I haven’t checked but there may be 1TB 7,2000rpm coming out soon/recently. These drives also improve PS3’s load times – no where near as much as a SSD does, but enough to make a small noticeable difference, especially when booting up. I already have the blu-ray versions. Sweetness. The games are probably gonna be 20 bucks a piece. Can’t wait, I was gonna get AC2 on PSN, might get Uncharted 2 instead (first one later lol). I think sony should just sell their own 500-750gb hard drives marketed for the ps3. People would buy them more than they think. The average consumers don’t even know they can upgrade their hdd size. Assuming you still have your save game file. Just put the game back in and see if all of the trophies unlock. They should after you install the update. And What’s wrong with Rayman Origins in PS Store? It was about two PSN suppose to sell it on the PS Store but always was a lie. When does the store update? Its nearly 5pm here in New Zealand on Thursday 24th May and the prices are still up for the UC2 DLC. Is it usually later tonight?